What? As if this needs a description. A number of years ago, we started a tradition amongst friends. The tradition was simple. Meet at O’Hanlons Irish pub at 11:00am on Saturday for Guinness Breakfast. What the hell is Guinness Breakfast you ask? Well, let me illuminate you. If you buy a pint of Guinness, you also get a cup of coffee, bacon, eggs, toast, and potato hash browns for free. 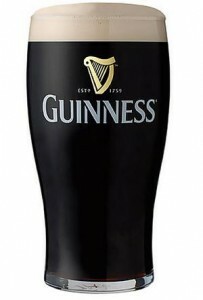 If you are morally opposed to buying a beer before noon, you can buy a breakfast consisting of a cup of coffee, bacon, eggs, toast, and potato hash browns and then you receive a pint of Guinness for free. See? Great deal. I think we are coming into our fourth year of doing this and it warms the heart to see this weekly ritual continue. We have not attended much in recent times and just went this past Saturday. There are some of our friends that we almost only see when we attend GB, a nice way to catch up. Over the years we have had gatherings as large as 20 or more, and some days there are only a couple of people show. There have been folks who have attended from at least 5 provinces; this is a coast to coast affair. There is something magical about the taste of Guinness with breakfast. There is also something magical about gathering with friends in a local pub on a Saturday morning. Life just seems light and fun. I really appreciate the rag tag band of misfits that gather. We are a collection of eccentrics representing very different political, religious, and world views. It is a wonderful gathering and you have no idea where the conversations will take you. Many ideas have been explored and discussed at these gatherings. Some times thought provoking, some times silly, often times humorous, but always respectful. Here’s to the group that meets o’er a pint and breaky. We spent this past long weekend in Lethbridge, visiting family. It was a great trip as we spent some real quality time with Charlie, Karen, Justin, Garrett, Carmen, Brittanie, and Austin. It was a long overdue trip and extremely enjoyable. I have written about family in a few entries so I will focus on something else for this entry; beer. On the way back home we drove through downtown Lethbridge. As luck would have it we ended up driving down the street where the Wine Cavern store is located. This was not planned, at least not on a conscious level. As luck would have it, the neon “OPEN” sign was a north star guiding our path; most stores were closed on this Victoria Day Monday. Kathy & I found a pretty good haul of beer, but for us the real joy was in discovering that Wine Cavern carries a very LARGE selection of Rogue beers. 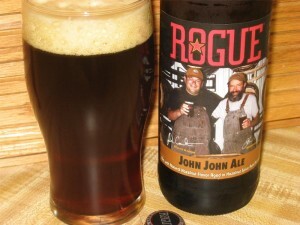 Especially joyous, was that they carried the elusive and coveted John John Ales. You see, they have two John’s working there. There is brew master John and distiller John now that they have a special line of spirits. The John John beers are beers that are aged in spirit barrels prior to bottling. The Juniper Pale Ale gets ages in a Gin Barrel, the Hazelnut Brown Ale gets aged in a Hazelnut Rum Barrel, and the Dead Guy Ale gets aged in a Whiskey Barrel. These were very popular beers when we toured their brewery in Newport, Oregon. In addition to those fine ales, we also bought a number of other Rogue Beers in Lethbridge that are hard to find as well as a few bottles of some unique beers we are interested in trying. Our stock of premiere beers has climbed again and we are set for a many of months. I am quite excited that we found these. 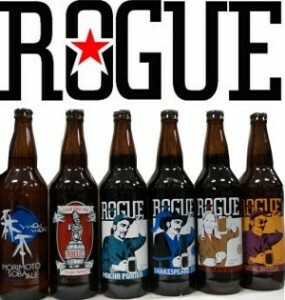 We really wanted to buy a few bottles when we were at Rogue, but alas, they were sold out. I know it is silly, but this represents quite a find for me. Last Friday, I attended the Brewer’s Dinner at Beer Brother’s with Kathy, Krystal, and Teri. This was Teri’s birthday present to me. As Borat says, “Nice. Very Nice”. We had a superb meal. It was a five course meal that had the food creations of Executive Chef Malcolm Craig (Beer Brothers) paired with the various beers of Master Brewer Dave Rudge (Half Pints Brewing). The courses were full of flavour and artfully presented. The beers paired exquisitely with each course. There are so many things to be thankful for in this small blog entry. Great food, great beverages, a wonderful birthday present, a delightful evening with family. It was a very enjoyable evening and sharing it with Kathy & the girls made it a real highlight. I even had a Chili chocolate dipped pea-meal bacon lollipop. Go back and read that last sentence again and let the awesomeness seep into your awareness. All five courses were adventurous and tasty. The four of us had a great evening. Thank you Teri for the birthday present. 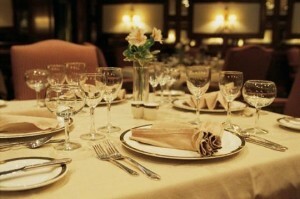 It was a magnificent dining experience shared with three people very dear to me. All is right with the universe. Time for another installment of Thankful Thursday. I am fortunate enough to have been invited to join the Round lake Weekend camping group. I was first invited in 2004 and felt very humble to be included. Why am I so thankful about getting asked to go camping you ponder? This is no ordinary camping group. 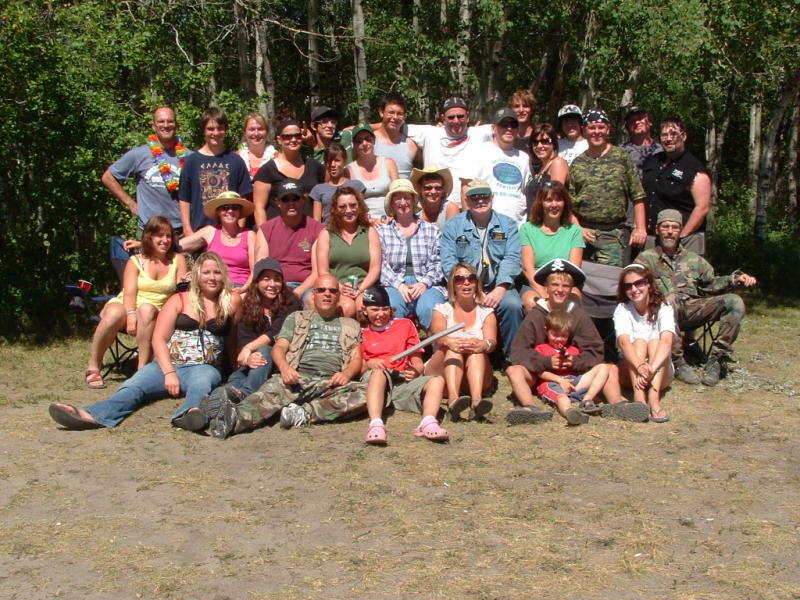 This is a group of friends that have been hanging out and going on an annual camping excursion for decades. They are a close knit group of misfits that I am honoured to call friends. As a matter of fact, I refer to them as my “Extended Dysfunctional Family”. I am honoured and humbled because this group has not brought a lot of outsiders into their inner sanctum. It is a ready made community of friends that laugh together often, cry together when necessary, and generally look out for one another. One these weekends, the laughs are loud, the beer flows steadily, and silliness reigns supreme. It is a fun summer rallying point that is anticipated highly and eagerly each year. I am doubly thankful this year. This is my fifth year for attending and I almost never went this year. Not sure why, I guess I have been in a bit of a funk. We decided to attend kind of late in the game and I am very glad we did. Lots of quality time in Lake Diefenbaker playing catch with a football, a game of soccer, a few games of washer boxes, the ubiquitous games of Beer Darts, gatherings around the fire pit, a few games of sling shot paintball, an epic water fight, narrow misses with a water balloon cannon, and a bicycle mounted swordfight in which I did NOT get injured are all on the highlight reel. For my RLW Family & Friends… I am Thankful. For the laughs and memories… I am Thankful. For the opportunity to be part of a great community of wonderful people… I am truly Grateful. Thanks Steve for the gentle subtle nudges to attend. The day started, as all great Saturdays start; a gathering at O’Hanlon’s Pub for Guinness Breakfast. There were only a mere four of us that shared tasty victuals and libations. Fred Mountjoy, Shelley Wilde, John Kennedy, and myself. A nice relaxing start to the day. Once my belly was full and I managed to kill two pints of Guinness, it is off to road hockey. There was a great tournout for Road Hockey and the weather was perfect. Actually, it could have been a bit colder for my liking. We played around for about an hour and a half then headed to the Cathedral Village Free House for our post game banter & brew. We have been getting decent turnouts for road hockey since we started back up, shoudl continue through January and on. Ah, Poker. Yes. 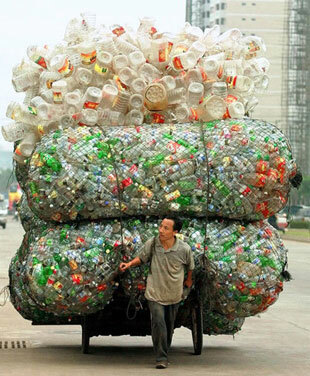 Another rewarding Hobby. Rob Allin hosted a poker game Saturday night and there were 14 players. I Managed to build aup a huge stack then squander it away when the two tables merged. It is odd how the table dynamic and the betting patterns shift so radically when tables merge. I need to retool my game play a bit when that happens. I am too slow to adjust and I get myself in trouble. I placed 7 out of the 14. I am down $25.00 to put my Bankroll at $663.50, hardly big league material. I am still very pleased that I have a positive amount. Get to have 100 of hours of entertainment, and I have actually made a little money. Go figure. I took one of my last Premier Beers to the Poker game. 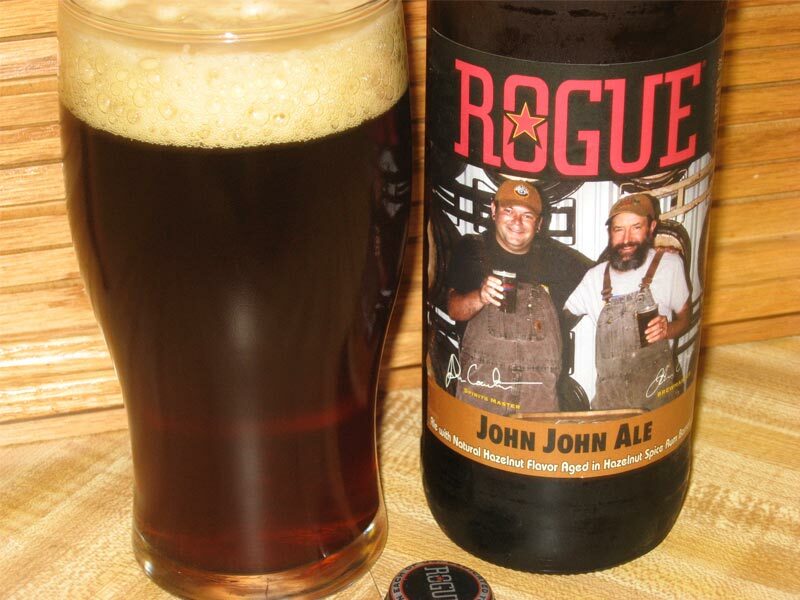 A Monk Madness Ale from Rogue Brewing company in Oregon. I opened it and half the bottle foamed out, not sure why. It was chilled well and not shaken. Being Scottish, I drank most of what was foaming out of the bottle so as not to waste any. I enjoyed the last half of the bottle between belching from the first half. The Ingredients for a Great Saturday? Start with a beer, end with a beer. All hail Norm Peterson! Hmmmmmm. Slight frown. Furrowed brow. I have not heard from my contact at the Sherbrooke Liquor Store in Edmonton. I guess I will have to give him a call. I want to get started with our “Beer Of The Month” club, but I need to let our charter members know what beer is in stock at the Mecca of Alberta Beer Stores. With an advertised 475 varieties of beer on hand, I am sure there are tasty libations to sate any beer drinkers thirst. I know I am looking forward to English Style Ales, Hoppy Pale Ales, and damn near everything else. 2007 was a good beer for me and I would hate to think that last year was my pinnacle year and I am now on my downward slide.